When the Sony a7III was announced back in March 2018 it took many by surprize. Packing a feature set that placed it very close to Sony’s flagship a9, this is a camera that has most likely given the managers at Canon and Nikon a number of sleepless nights ever since its launch. 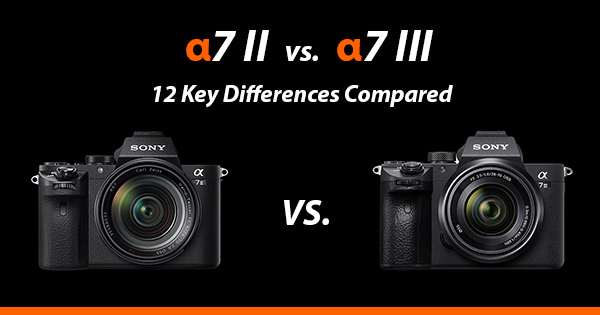 So how does it compare against its much loved predecessor the a7II (ILCE-7M2)? Well, I don’t think I’m exaggerating here but it blows it away! I’ve also heard it being called a baby a9 which is very high praise indeed but as good as it is, it isn’t a replacement for the a9 with its stacked sensor. In this comparison article I’m going to take a closer look at the 12 key differences between the Sony a7II and the new a7III. At the launch event Sony called the a7 III their “basic” full frame model, but it’s definitely anything but basic. The a7 III gets a new version of the 24.2-megapixel Exmor R CMOS sensor, which uses a back-illuminated and gapless on-chip lens design similar to that found in the a7R III. The sensor is combined with the latest BIONZ X image processing engine and front-end LSI, allowing the a7 III to achieve a readout speed that is two times faster and data processing capability that is 1.8 times higher than that found in the a7 II. The a7 III like the a7 II does still include an optical low-pass filter (anti-aliasing filter). The 5-axis image stabilization has also been improved, but just a little. It now achieves a 5.0-step shutter speed advantage compared with 4.5 steps in the a7 II. Start-up is also approximately 40% faster than with the a7 II when the camera is switched on. The new sensor and image processor also help to give the Sony a7 III up to a 1.5-stop improvement in dynamic range over the a7 II. Standard ISO range has been extended to ISO 100-51200 (expandable to ISO 50-2048006 for stills), helping to make it a lot more capable in low light situations. This compares with ISO 50–25600 in the a7 II. The a7 III inherits a very similar body (but not identical) to the one found on the a7R III and flagship a9. So you’ll be pleased to know that the a7 III includes the same AF joystick that makes moving the focus point around easier than ever before. There’s also now a dedicated AF-On button that can be used for back button focus or customized to your liking, as well as a Protect/Rate button. A big plus for many photographers will be the dual SD card slots. The movie record button has also been relocated to near the viewfinder. The a7 III weighs in at approx. 1 lb 7.0 oz / 650g, making it around 51g heavier than it’s predecessor. The width and height are the same, but it does go from 2.4″ to 2.9″ in depth to accommodate the larger Z series battery. Like the a9 and a7R III, the new body is dust and moisture resistant, so it should withstand a rain shower, but it’s most definitely not waterproof. 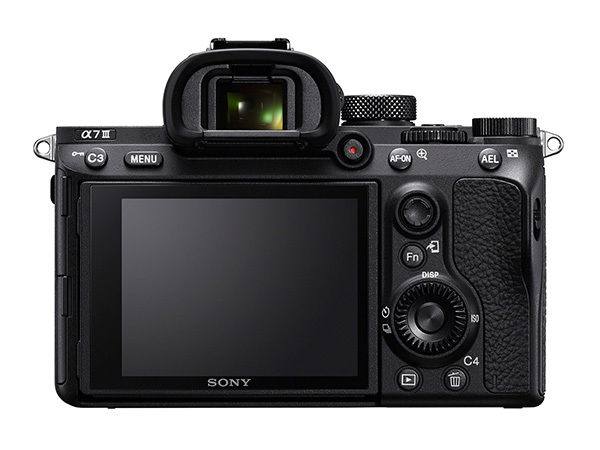 The new body along with revised menus should help to make the a7 III much easier to configure and use. Sony says the AF system is derived from the one in the a9 and performs twice as fast as the one found in the a7 II. The a7 III features 693 phase-detection AF points that cover approximately 93% of image area (same as in the a9), plus 425 densely positioned contrast-detection AF points to improve focus. The a9 only features 25 contrast detection points, so the a7 III outshines its larger and more expensive brother here! This is definitely a huge step forward from the 25 contrast-detect and 117 phase-detect points found in the a7 II. But don’t let these figures fool you into thinking that the autofocus system is better than that in the a9, it’s just not, but more on this in another article coming soon! With the a7 II, when the aperture is greater than F8 in continuous shooting mode, the focus is locked to the setting in the first shot. With the a7 III however, you can shoot up to and including F11 before the focus is locked to the settings in the first shot. This really gives the a7 III the edge when shooting at higher apertures in continuous mode. The Sony a7 III now gets an electronic/silent shutter, which is brilliant for shooting wildlife in silence, shooting weddings when you need to be as quiet as a mouse during the ceremony, or any other event where shutter noise is frowned upon. Continuous shooting jumps from 5fps in the a7 Mark II to a massive 10fps for both mechanical and electronic shutters in the a7 Mark III. But if you want to use live-view mode then you are limited to 8 fps. The A7 III supports live view with blackouts but only at 8fps. Like the a7R III you can also shoot 14-bit RAW files at 10fps and in silent mode, but only in uncompressed RAW, if you change to compressed RAW then this drops to 12-bit. It also drops to 12-bit if you have long exposure noise reduction turned on. 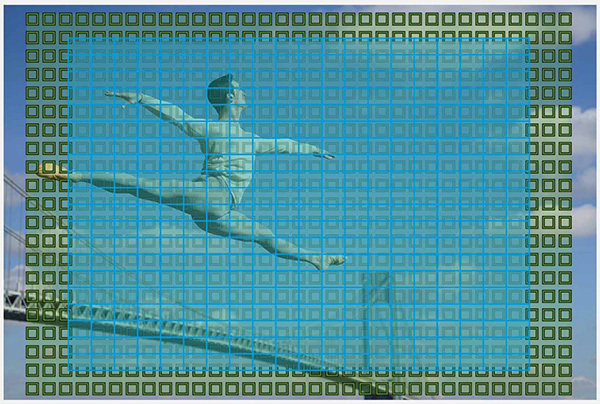 The buffer supports up to approximately 177 JPEG (standard) images, 89 compressed RAW images, or 40 uncompressed RAW images in one continuous burst. This compares with 52 JPEG, or 28 compressed RAW images when shooting continuous on the a7 II. Anti-flicker technology has also been added to the a7 III that automatically detects flicker from fluorescent and other artificial lighting and shutter action is timed to minimize the flicker’s effect on still images. With the a7 III you can also access the menu, change settings, and view images whilst data is being written. The a7 III now supports 24p/25p 4K video recording with zero sensor crop, which is achieved by capturing 6K then downsampling to 4k. At 30p recording is captured at roughly 5k, so there is a slight crop of 1.2x crop. The camera offers both S-Log2 and S-Log3 gamma curves for shooting wide dynamic range scenes or Hybrid Log Gamma for playing back directly on high dynamic range (HDR) displays without the need for post-processing. Both internal video capture and HDMI output remain limited to 8-bit, which can limit the degree of processing flexibility for Log footage. Internal recording is up to 100 Mbps 8-bit 4:2:0, while HDMI out is 8-bit 4:2:2, meaning twice the color resolution. You also get a feature found on the a7R III and a9 called Slow and Quick Motion (S&Q). This allows you to select between 1fps and 120fps for slow or fast motion clips. The a7 III uses the same 2.36 million dot OLED viewfinder as its predecessor, resulting in a 1024 x 768 image, rather than the higher-resolution versions found in the a7R III and a9. However, updated optics mean the panel now provides a larger view with 0.78x magnification, up from 0.71x on the a7 II. The LCD screen is now 3.0″ with 922k dots, compared with 2.95″ and 922k dots on the a7 II, not a big improvement, but the a7 III does now gain the same touch screen as found in the a7R III and a9, allowing you to focus instantly on a point that you touch on the screen and easily move around image previews, you can also double tap to magnify when focussing manually. The LCD tilts up by as much as 107°, and down by as much as 41°, but I’m afraid it doesn’t flip out forwards. One of the most hoped for improvements is the larger NP-FZ100 battery which replaces the NP-FW50. The NP-FW50 was rated at a capacity of 1020mAh, whilst the new NP-FZ100 battery is rated at 2280mAh. This provides over double the capacity of the old battery. Official Sony figures are 710 shots (with LCD screen) vs 390 shots of the a7 II. The new NP-FZ100 is exactly the same battery that both the Sony a9 and the a7R III use, and it really does make a BIG difference. I can shoot all day with my a7R III and a9, and still have a little juice left over. That said, I’ll still carry a spare battery just to be safe! You might be tempted to order a cheaper third party battery for the a7III, but please be aware that with the latest a7III firmware if you try to use a non-genuine Sony battery you will get a warning message that says “the operation and safety of this battery cannot be guaranteed”. You can ignore the warning by pressing OK and the batteries will still work, however the percentage remaining indicator next to the battery icon disappears (so you won’t know how much battery you have left). This appears to be the case for all popular NP-FZ100 third-party batteries including Wasabi, Patona, Newell, and Baxxtar. 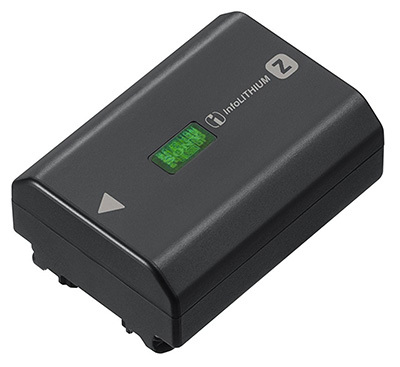 You can order a genuine Sony NP-FZ100 battery through Amazon.com and Amazon.co.uk. Worrying about a card failing during an important shoot such as a wedding is now thankfully a thing of the past, that’s because the a7 III now includes dual SD media card slots. 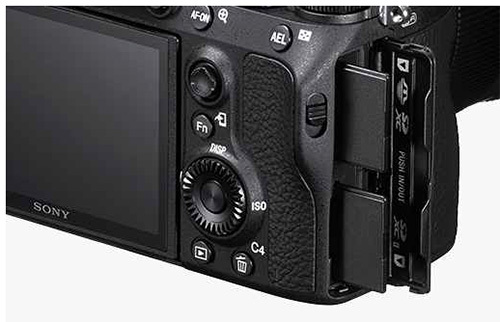 However, just like with the a9 and a7R III, only one of these slots is actually UHS-II compliant. The addition of dual-slots gives you multiple recording options: you can either write to a single card, write to both cards simultaneously, write jpegs to one card and RAW files to the other, or video to one and stills to the other. If you do purchase the a7III, then you might find my guide on how to setup dual sd card recording on the Sony a7III helpful. The addition of USB Type-C 3.1 and Multi/Micro USB ports allows the connection of external batteries to power the camera for extended shooting, and accessories such as a remote control unit can be used via Multi/Micro USB port while power is still supplied via the USB Type-C port. The USB Type-C also allows for high-speed PC Remote transfer of large RAW data files, so you can quickly review images on a PC with Sony’s Imaging Edge software and continue shooting without delay. Wireless LAN is built in, and you also get NFC and Bluetooth. When paired with the PlayMemories Mobile App you will be able to acquire location data, which can then be recorded on still images. There are also headphone and microphone connectors, and micro a HDMI output. The a7 III now gets the same improved menu as you’ll find on the a7R III. This allows you to register up to 30 frequently used items on the new “My Menu” for instant recall, allowing you to create and customise an optimal menu for your own convenience. The a7 III has primary menus reorganized for easier searching, with group names and page numbers at the top of the displays. The Sony a7II (body-only) currently costs around $1,398 / £1,199 while the new a7III costs $1,999 / £1,999 for the body-only, making it a good $600 / £800 more expensive. Add the kit lens (SEL2870) and the price goes up to $2199 / £2200. Please bear in mind that these prices may drop if there are deals running at the time. You can check the latest prices using the links below. The Sony a7 III is a camera that offers significant improvements over the a7 II. Many of the improvements that people have been asking for are now here and more! I’m fortunate to own the a7 III, a7R III and a9, and I really am blown away by just how close this camera comes to its much more expensive siblings. Sure, it doesn’t offer the high resolution capabilities of the a7R II or III, but not everyone wants or needs 42.4-megapixels. Even for landscapes 24.2 megapixels is plenty for most people. If you shoots sports professionally then the a9 with its anti-distortion shutter, 20fps and much larger buffer is probably still going to be your first choice if you have the money to burn, but the a7 III is still very capable of freezing any action you put in front of it. If you are considering taking your first steps into the world of full frame photography, then the a7 III is a camera that you will seriously want to consider. And if you already own the a7 II you probably already know whether you will be making the upgrade or not. But what if the a7 III is just out of your budget? Although it’s a brilliant camera, it’s not worth robbing a bank for or getting into debt. Thankfully the Sony a7II is still a brilliant camera, you only need to read the reviews on Amazon to see this. For landscape photography, portrait, weddings, street, architecture it’s still more camera then you will most likely ever need. However, if you are wanting to shoot sports or other forms of fast action then the a7 II would not be my first recommendation at this price point, instead I would be looking at the Sony a6500. If you do decide to go for the a7 III then you might find my Sony a7III Accessories Guide or my Sony a7III Lenses Guide helpful. I’ve also published a small collection of Sony a7III Sample Images that I have taken with a few different lenses. Finally, if you have a few seconds to spare then I’d really love to hear which camera you decided to go for in the comments below.